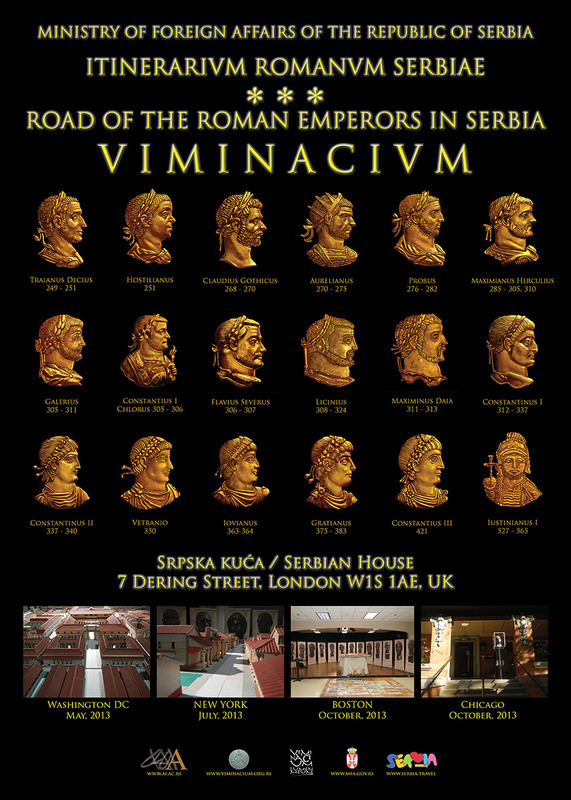 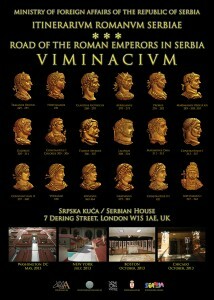 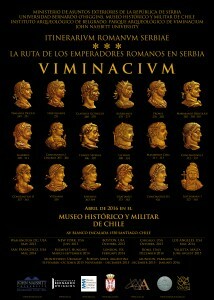 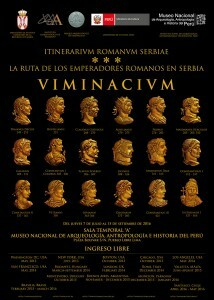 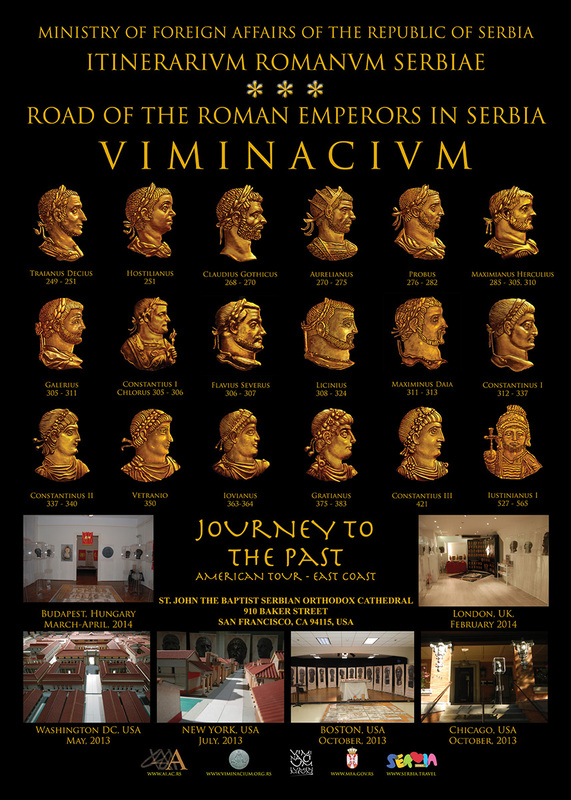 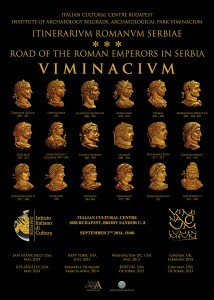 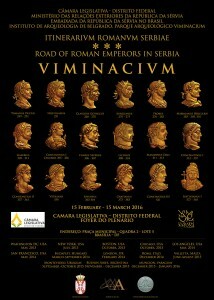 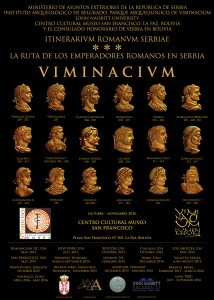 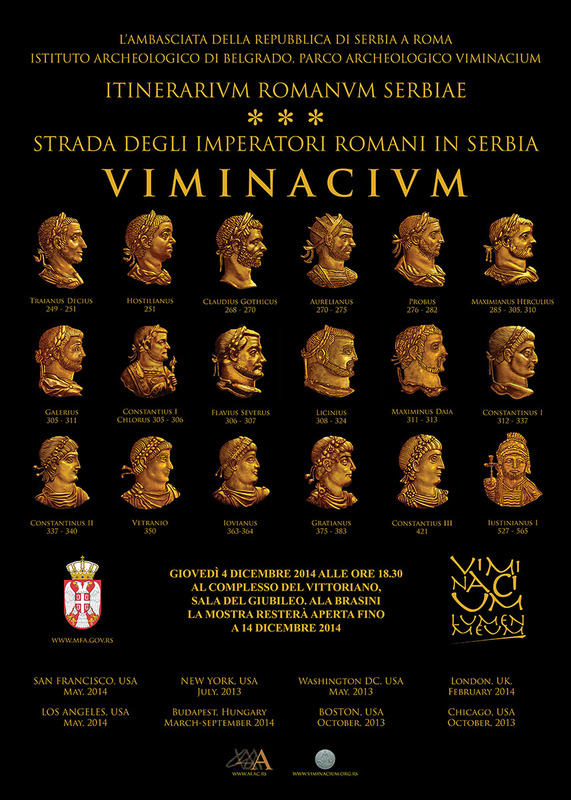 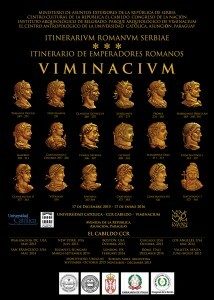 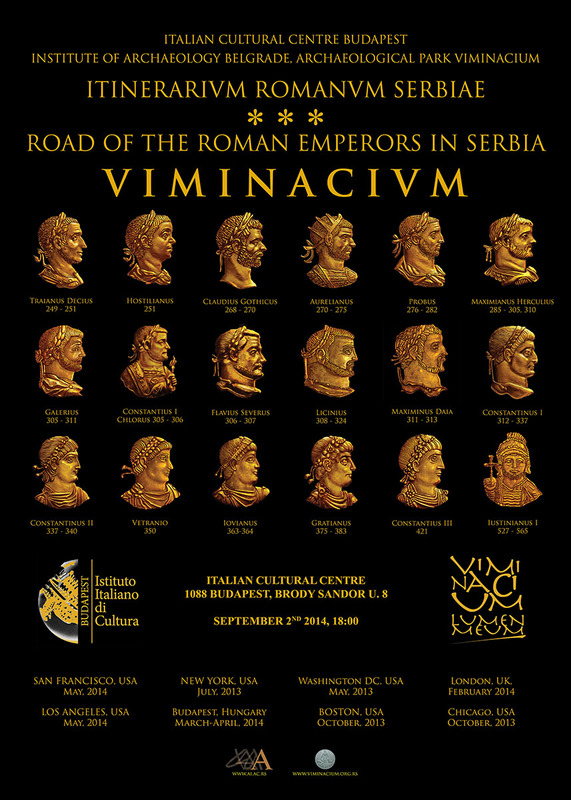 Exhibition entitled „Journey to the past – Itinerarium Romanum Serbiae – Viminacium“ is the result of efforts to promote rich cultural heritage of Serbia, in particular not very well known fact that as much as 18 Roman emperors were born on its territory, the most important of them being Constantine the Great, who legalized Christianity and thus made huge impact on our civilization. 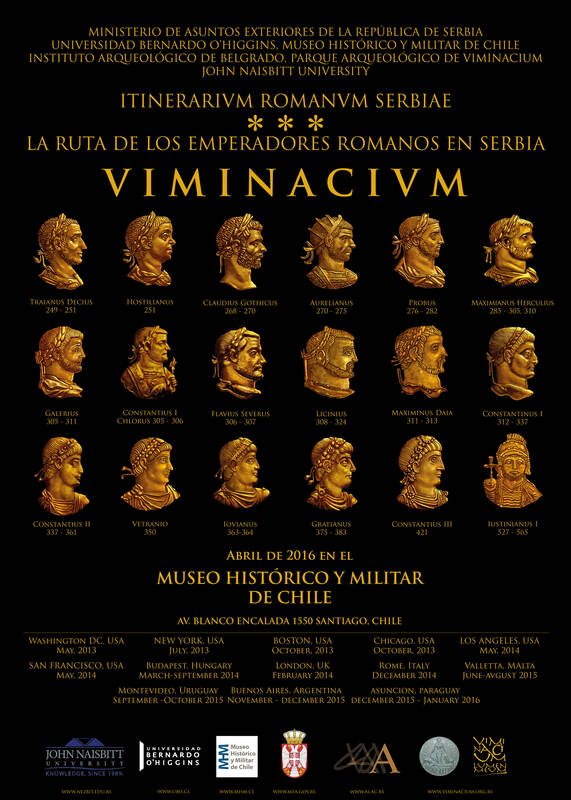 Also, the exhibit presents new discoveries made in Viminacium, ancient Roman town, the capital of the province of Moesia Superior which is today an archaeological park, growing in importance and popularity. The exhibition is organized by Institute of archaeology from Belgrade, with the support of the Ministry of Foreign Affairs of the Republic of Serbia, and during past six years it was displayed in numerous cities on three continents. The idea of a traveling exhibition was conceded in 2010, in the Embassy of the Republic of Serbia in Washington, within the „Passport DC Day“ manifestation. 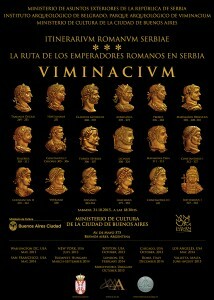 This manifestation takes place in May, when all of the 176 embassies are opened. 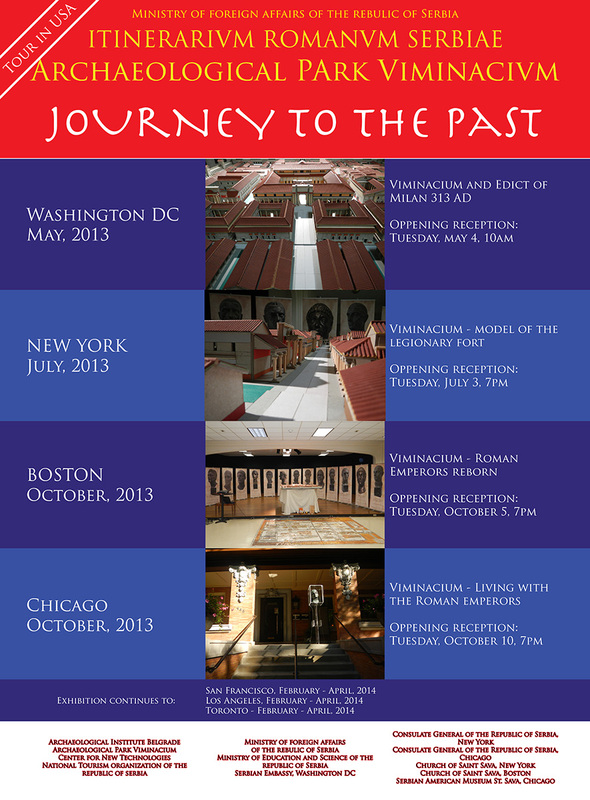 The interest shown by American public was a good reason to develop the exhibit further, namely through introducing more showcases. 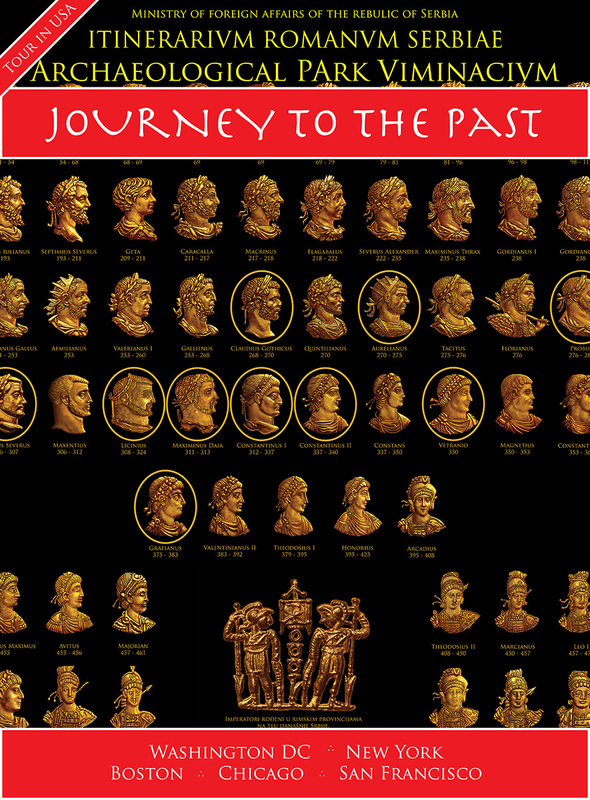 The result of such efforts is an exhibition presenting portraits of 18 Roman emperors born in the territory of modern day Serbia, cast in bronze, and a detailed model – the ideal reconstruction of the civil settlement and the legionary fort of Viminacium in which the Roman legion VII Claudia (legio VII Claudia pia fidelis) was stationed. 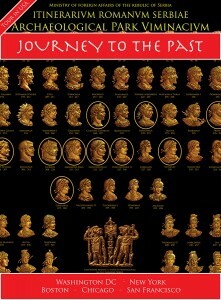 It was made according to the results of geo-physical surveys of the ancient city and the legionary fort. 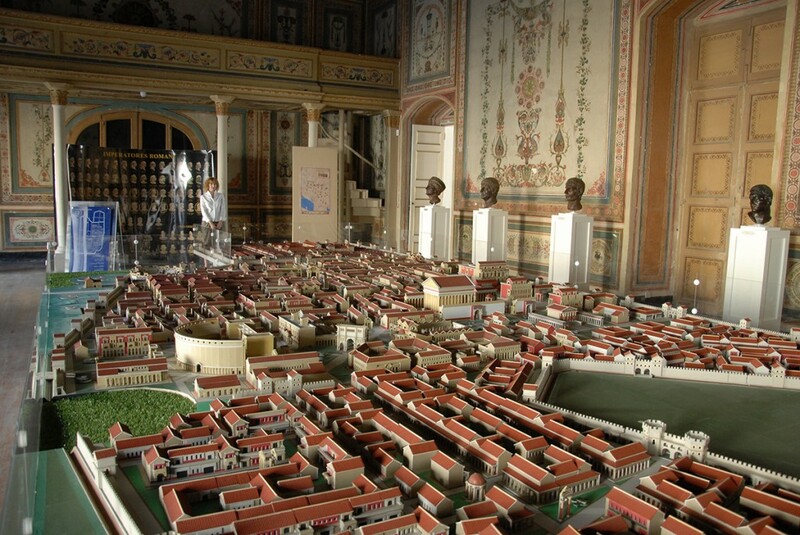 The dimensions of the model are 7,50 x 3,50 meters. 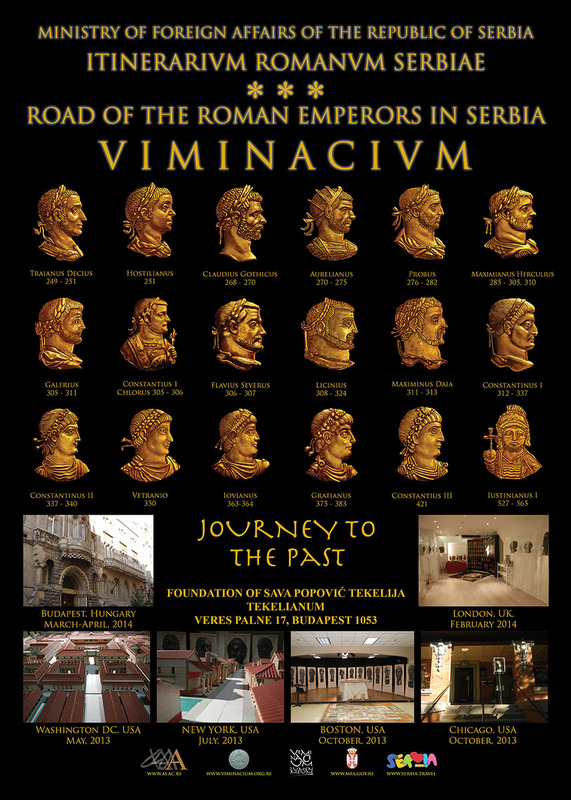 An additional content of the exhibition includes replicas of artefacts used in everyday life nearly 2000 years ago, numerous back-drops and roll-ups, visually supporting the exhibition, and informative leaflets. 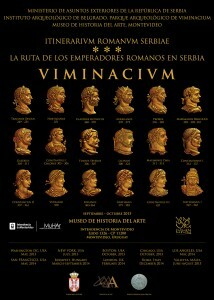 So far, the exhibition was shown in sixteen cities in Europe, North and South Amercia. In the United States, the it has been set up in Washington, New York, Boston, Chicago, San Francisco and Los Angeles. In Europe, the public interested in Roman heritage could see it in London (England), Budapest (Hungary), Rome (Italy), Milan (Italy) and Valletta (Malta). Since the interest in Washington, New York and Budapest was so huge, it was presented twice in these cities. The biggest success with the public exhibit had in South America so it was needed to stand in line for an hour in order to see it on the opening night in Buenos Aires and it was the most visited cultural venue while it was displayed in Asunción. 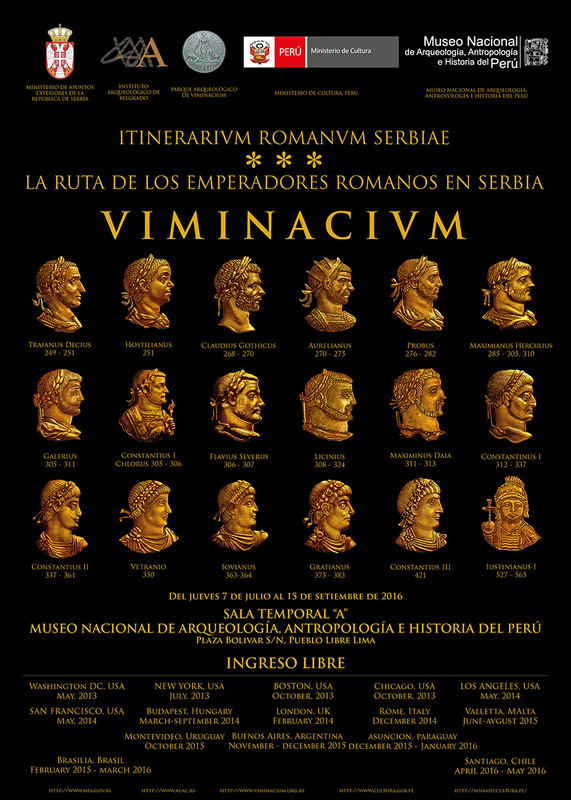 Besides these two cities people of Montevideo, Santiago de Chile, Brazilia, Lima and La Paz have also had the chance to get to know this part of the Serbian cultural heritage. 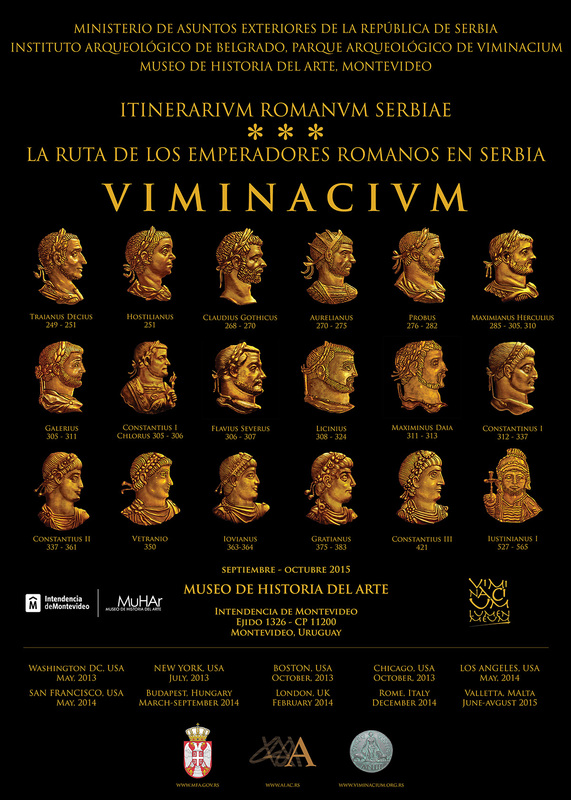 After visiting Peruvian capital, planed destinations of the exhibit are Quito and Mexico City in South and Middle America, Trani (Italy), Madrid (Spain), Lisbon (Portugal), Moscow (Russia), Prague (Czechia) and Cambridge (Great Britain) in Europe, and Tel Aviv (Israel), Beijing (China) and New Delhi (India) in Asia.